The whole of the period from the early 1580s until the end of Elizabeth’s reign was fraught with the fear of invasion by Spain. Elizabeth and her Council were riven with disputes about whether to pursue an aggressive policy by intervention in the Netherlands and France, or a defensive policy, trying to improve Anglo-Spanish relationships, whilst keeping the country protected by the fleet (such as it was). By and large, the English government was in favour of supporting co-religionists with military and financial aid but the Queen herself was very reluctant to be seen to give succour to rebellious subjects, no matter what their religion. She also feared provoking all-out war with Spain and did not have the financial resources to back a long-term campaign. The public might like to talk of war in a righteous cause but no-one wanted to pay taxes to fund it. 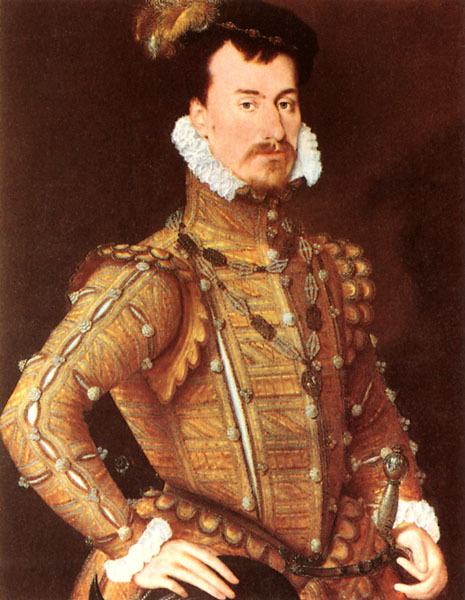 The first overt intervention by England was instigated by the Treaty of Nonsuch in 1585, which took an English army into the Netherlands in support of the States-General’s efforts to throw off the overlordship of Spain. Any foreign ruler would be disliked, but the Protestant provinces in particular, rejected the Catholic repression that Philip represented. The campaign was led by the Earl of Leicester (Essex’ step-father), with the twenty-year old Essex in command of the cavalry. The campaign concentrated on Anglo-Dutch efforts to capture the Spanish held town of Zutphen. 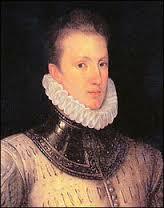 Although Essex was successful in his cavalry charges, the overall result was negative, and Sir Philip Sidney, Essex’ friend, was killed, leaving a heroic reputation that Essex sought to emulate. Essex had now had a taste of war, and being vigorous, courageous and hungry for military glory, became one of the strongest proponents of the interventionist party at Elizabeth’s court. Not yet a Privy Councillor, however, he could only urge from the side-lines. During the Armada campaign, he was given a prominent position at Elizabeth’s side at Tilbury.